After cavities are removed, we use tooth-colored fillings made of safe composite materials to repair teeth. Unlike silver and mercury fillings, composites bond cohesively to the tooth and strengthen the entire structure. They are made of tooth-colored materials so that they blend in with the rest of your smile. No more noticeable gray or dark spots when you flash that beautiful smile! Sometimes, with very large cavities, or teeth that are cracked, there may not be enough natural tooth structure to support a filling alone. This is when we may recommend a crown. Crowns are the best line of defense for restoring teeth that have been compromised by large cavities, failing restorations, or traumatic injury. A dental crown has the ability to protect tooth enamel compromised by cracks, restore the tooth to normal functioning capabilities, preserve teeth that have undergone a root canal treatment, and match the color of surrounding natural teeth. Until recent years, dental crown treatments required at least two appointments to complete. With the expansion of advanced dental technology, our patients can have porcelain crown treatments performed in a single appointment. Teeth can be prepared for the fit of a crown, and scanned with our in house 3D imaging technology. This data is used to create a customized, perfectly fitting crown on the spot. The advantages of same day crowns are many, including permanent restoration the very same day with no need for a temporary crown or a second visit, and no messy, uncomfortable impressions of your mouth. *For patients who prefer gold crowns, we do have that option available as a 2 appointment procedure. 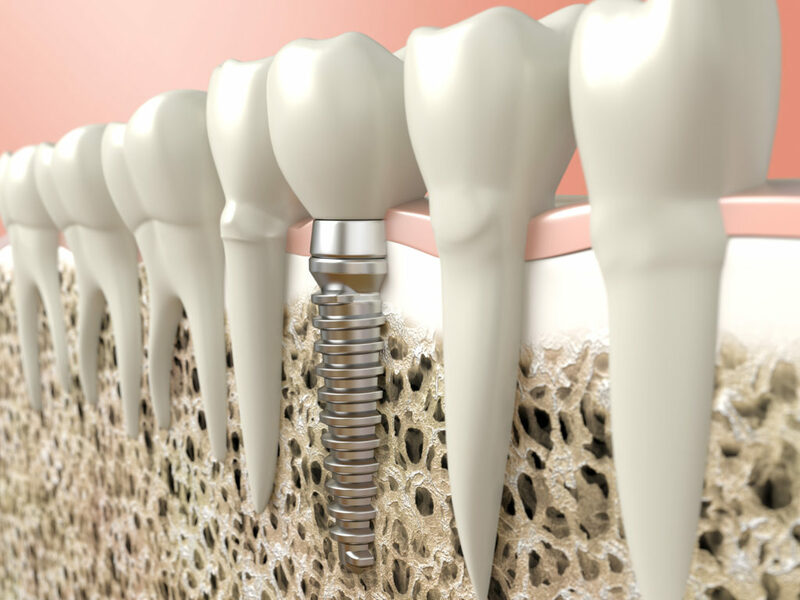 In most cases, we recommend dental implants when a tooth needs to be replaced. Compared to traditional bridges, implants provide a life-long solution for your smile. Fixed dental bridges replace missing teeth with a permanent restoration. The tooth replacement portion of the bridge is supported by neighboring teeth that are healthy enough to to be modified as anchors, and the bridge is fitted for comfort and function. Dentures depend on a custom fit for maximum comfort and impact. We take careful impressions and create custom-fitting dentures that are comfortable to wear and easy to clean. There are many denture options, and we will discuss with you what best fits your health and comfort needs, and decide with you how to proceed.